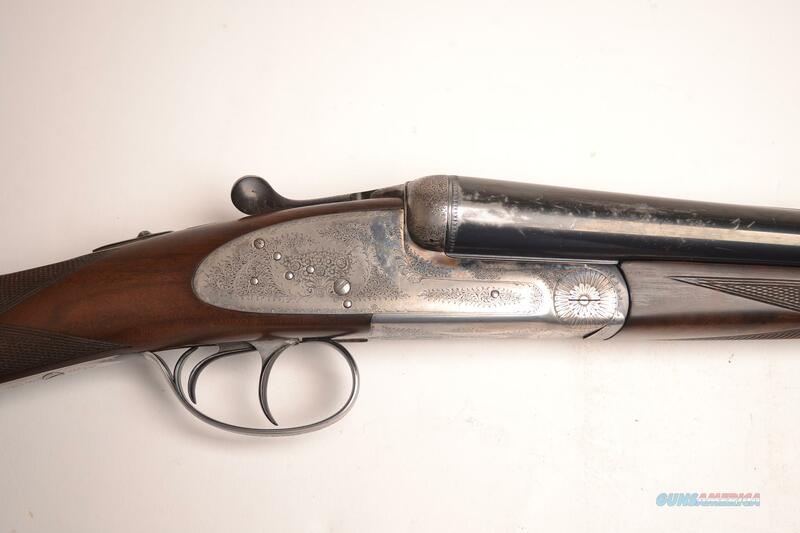 Description: Arrieta Co. - SxS SLE 12ga 28” barrels. 2 ¾ chamber, double triggers, hand-detachable side lock, solid rib, straight grip stock with a long tang, leather recoil pad, splinter forend. This is a solid used gun.